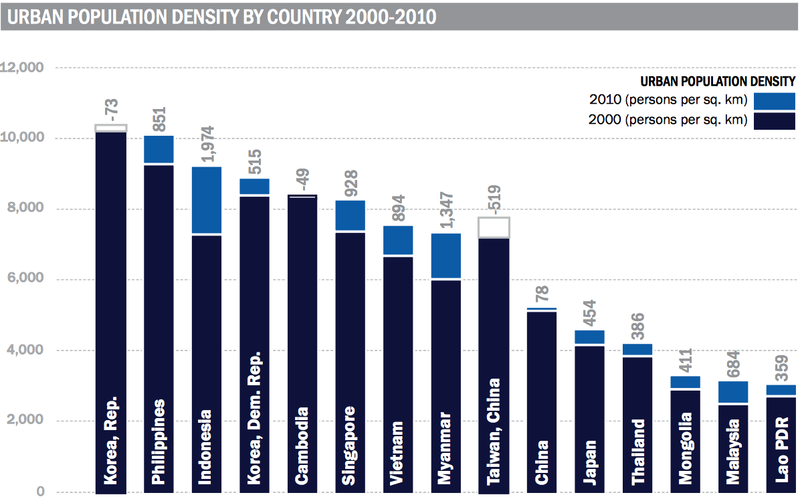 Dengue: Which country has done it right? If they breed, YOU BLEED! First, I would like to commend you on your thought provoking article on dengue on the front page of the New Sunday Times 8th Feb 2015. However, the comments attributed to Prof Sazaly, while accurate in some aspects, painted a skewed and unfair picture on the Vector Control Program of the Ministry of Health. As such, I am compelled to correct the fallacies quoted. The global burden of dengue has been increasing steadily since it was monitored by WHO in the 1940s. From 30 million cases involving 20 countries, it now stands at 200 million involving 70 countries. All countries show an upwards cyclical trend with huge spikes every few years despite adhering to the World Health Organization (WHO) guidelines. This increase is attributed to urbanisation and climate change by experts worldwide. Even neighboring countries e.g. Philippines, Singapore and faraway countries e.g. Brazil, show the same situation. Aedes and dengue is also making their appearance felt in Japan with locally acquired infections reported last year, 160 local cases as of 31 October 2014. 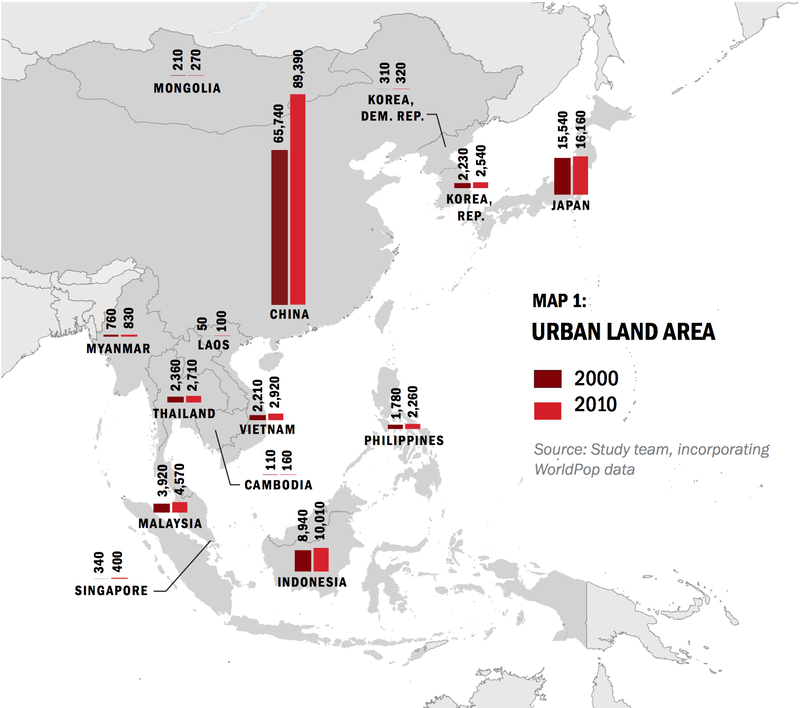 So what we “haven’t gotten right” is how to manage urbanisation and climate change, and Malaysia is not alone here. Interestingly, even countries like Singapore which has a highly acclaimed urban development program, with respect to vector control, still have intermittent spikes of dengue outbreaks. On top of that, we have no effective drug nor vaccine for the patients thus leaving us with just the option of controlling the vector. 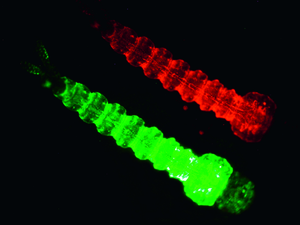 Imagine trying to control a mosquito which can breed anywhere with just a spoonful of clear water! On Prof Sazaly’s “think out of the box” comments, one would need to look at the clinical features and epidemiology of the cases in Malaysia before we embark on it. For instance, the bulk of the cases are in the young adult age group so targeting the school students by changing the colour of school uniform, will not have the desired impact. Furthermore, if we take countries where the school uniform is of different colours i.e. Thailand with lighter colours and Singapore with darker colours, the derived benefit of different colour school uniforms is not apparent. On his recommendation that all fever cases to be laboratory tested, this would depend on the affordability of the patients and the derived benefits. What the MOH is recommending is to test all suspicious cases of dengue rather than all fever cases. And concerning the UM MyDENKit which requires only 5 hours to get the result and can test up to a thousand samples with lab automation, please note that their kit is molecular based and requires laboratory equipment. What the MOH is now recommending is “point of care” testing using the COMBO Test Kit which requires only 20min and performed at the clinic itself. In fact, the combo kit is evaluated by Prof Sazaly’s own centre and found to have a sensitivity and specificity (88%, 98% – Wang & Sakaran 2010, Am J Trop Med Hygiene) comparable to the sophisticated MyDENKit. In fact, MOH has started using it since January 2014. That is why we also ask GP to use it. And for the suggestion of using bednets in the hospitals, so far our data doesn’t show patients acquiring the infection in the hospitals. Our strategy is to ensure that the hospitals are mosquito free with regular inspection and making it the responsibility of the hospital directors to ensure it is Aedes free. As for Prof Dato CP Ramachandran’s suggestion for the GM mosquito and to answer Mr. Param’s question (NST, 11 February 2015) on why the hesitancy on its use, the company has yet to complete its study of the suppression phase in Malaysia. Although the initial experiment in Cayman Island was successful, one must not forget that Cayman is an island with “closed” borders and ecologically different from Malaysia. Thus, we still need proof that it can work in Malaysia. Furthermore, the patent is held by the company and initial quotations on its cost proved prohibitive for large scale use. I agree that cost is relative but public health intervention of that magnitude must be based on hard science. And although the company has established a facility to mass produce the GM mosquito in Brazil, its use is limited to field trials only with some local authorities. The MOH of Brazil has yet to adopt the usage of GM mosquito despite facing higher burden of dengue than Malaysia. In harping on the issues above, we have missed the core problem and that is dengue control is hugely dependent on the destruction of Aedes breeding. As long as Malaysians continue their bad habits of littering, illegal dumping of garbage, apathy on breeding within their own homes, not bothered about community work, poor environmental cleanliness and construction sites continue to ignore guidelines, we are fighting a losing battle. Yes, fogging with insecticide only is not the answer. No matter how much you fog, if we do not destroy the breeding places within our control, new Aedes will emerge and strike again. And majority (61%) of Aedes breeding places were at residential areas. Yes, we need to think out of the box on how to change Malaysian attitude and behaviour towards cleanliness. And don’t forget that we only have 5 years before we become a high income nation. And Yes, our researchers must also think out of the box to find more tools to fight Aedes and the dengue virus. We and the world just do not have enough bullets to win the war against dengue unlike the war against malaria which is also a mosquito borne disease but in which we in Malaysia and globally, are winning the war, at least for now. Because in malaria we have the other tools. For malaria, we have the drugs to kill the parasite that cause the disease and reduce the source of infection to others (no drug to kill the dengue virus in patient and carrier), we can effectively promote and implement the usage of mosquito net in endemic areas because the peak biting time of the mosquito is during bedtime (Aedes bites when we are awake and active) and we can manage the breeding of malaria mosquito vector because it breeds in specific ecology which could be manipulated or managed appropriately (Aedes just breeds anywhere that can collect water). 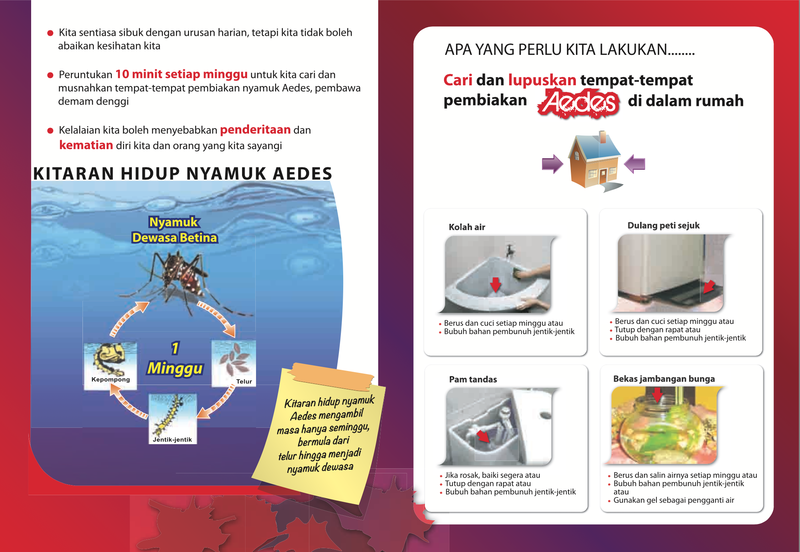 iDengue System for the Community is a platform for the public to get the latest dengue updates in Malaysia. The information in this system is updated daily. 10 minutes, ONCE a week..